The last news about the Duchess. Lady Diana had a feminist for ancestor! Watch the trailer. 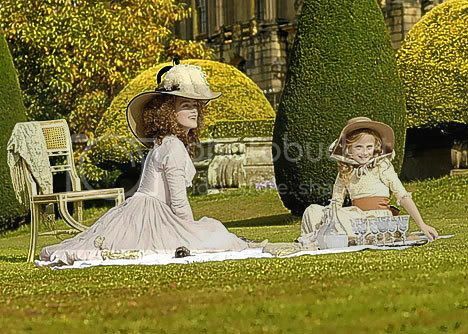 The life of 18th-century English aristocrat Georgina Cavendish, Duchess of Devonshire, explored by write Amanda Foreman in biography, has been adapted into a movie, The Duchess. An ordinary woman, she married into power and captivated a nation. Based on the incredible true story of Georgiana Spencer. She was loved by the people. She was feared by the powerful. Love, passion and politics: what an explosive cocktail! 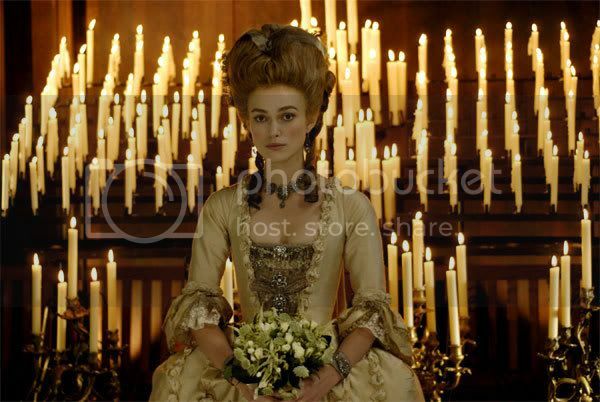 Keira Knightley is amazing in her role of Duchess. The hair style of the Duchess in this movie must have been inspired by the Zohan himself. For Sure! This trailer must be targeting people reading the Sun... It does not put emphasis on Georgiana involvement in politics, it just tries to draw a parallel between the Duchess and her descendant Lady Di. How pitiful! I believe the movie is much more interesting than this trailer of the Duchess may show though. It is fortunate for the United Kingdom that liberal thinkers helped the society to overhaul itself without the need for a bloody revolution. The Duchess if one of them: behind the scandalous aspects of Duchess Georgiana's life there is a woman who fought for the right of the people! 18th-century English aristocrat Georgiana Cavendish, Duchess of Devonshire, was a woman ahead of her time. Her liberal demeanor was not without provoking controversy. 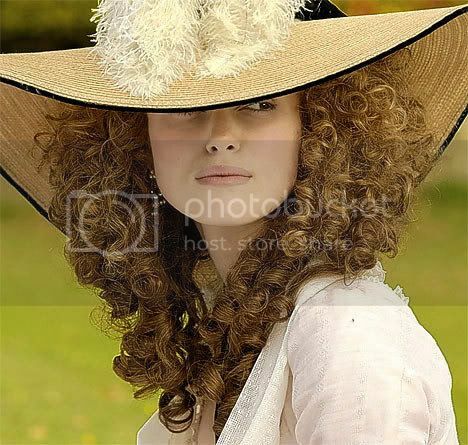 An upcoming movie titled the Duchess proposes to discover further the life of this exceptional woman, who by the way is a direct ancestor of Lady Diana. The movie is directed by Saul Dibb and is starring Keira Knightley as Georgiana and Ralph Fiennes as her husband. It is scheduled for release in September 2008. As glamorous and adored by the public as her descendant, the Duchess was also the target of vilification campaigns trying to smear her reputation. But this strong woman was one of the first feminist and marked her time! The movie is based on a biography written Amanda Foreman. 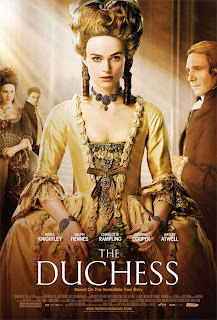 The Duchess is an appealing history drama movie.